March | 2012 | .another part of me. gonna try to finish this as soon as possible just bcoz i can’t stand for not writing about my bangkok trip! lmao. 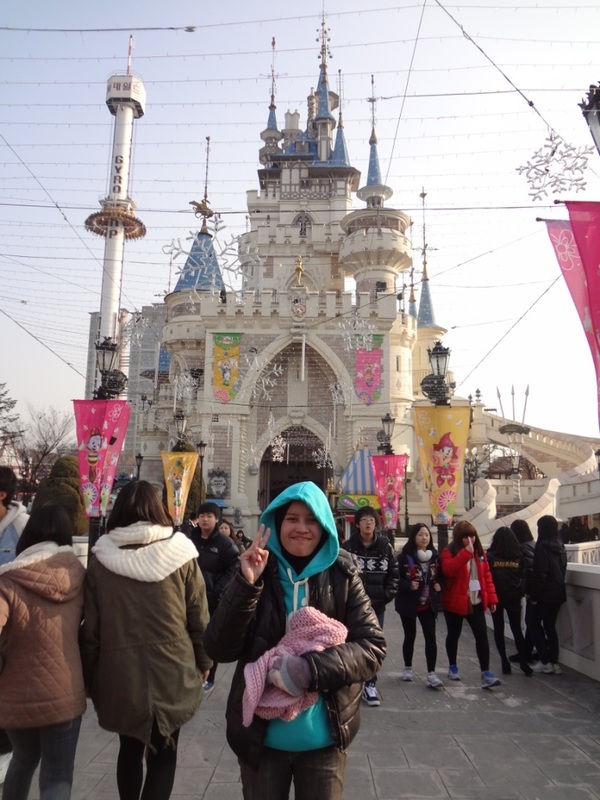 so on day 5 at korea, we went to lotte world! all 8 of us hehe. 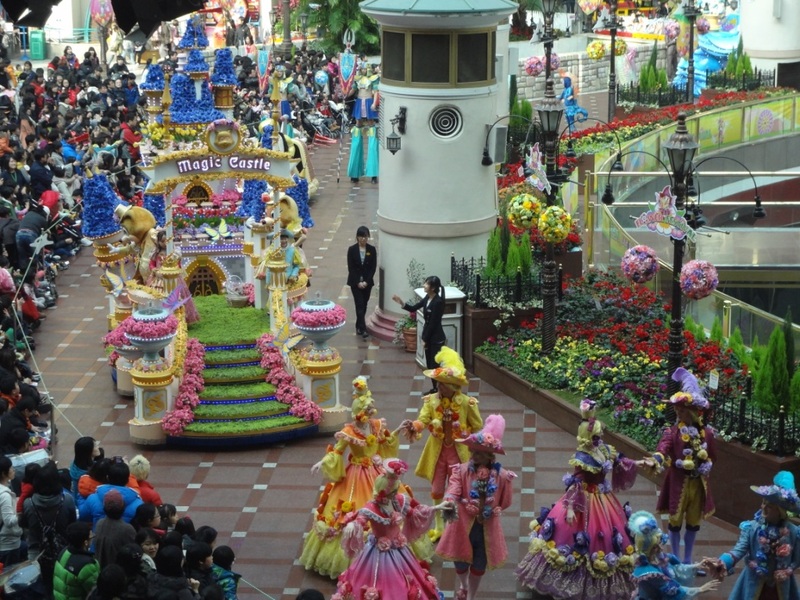 lotte world is like a theme park, which has both indoor & outdoor park. outdoor games looks more interesting, but since it was winter, i didn’t try any of it. i don’t even have the guts to go to outdoor at first. well we went out ard 9am cuz everyone doesn’t wanna wake up cuz we were so tired last night lol. and we reached jamsil stadium 30 mins later. just follow the crowd to get to the entrance. well it was school holidays that week. that’s explained why there were so many kids FML. and the queue was so effin long for each ride/game hmm. we managed to ride around 4/5 games only jsyk. sigh. wrong timing ruins everything. 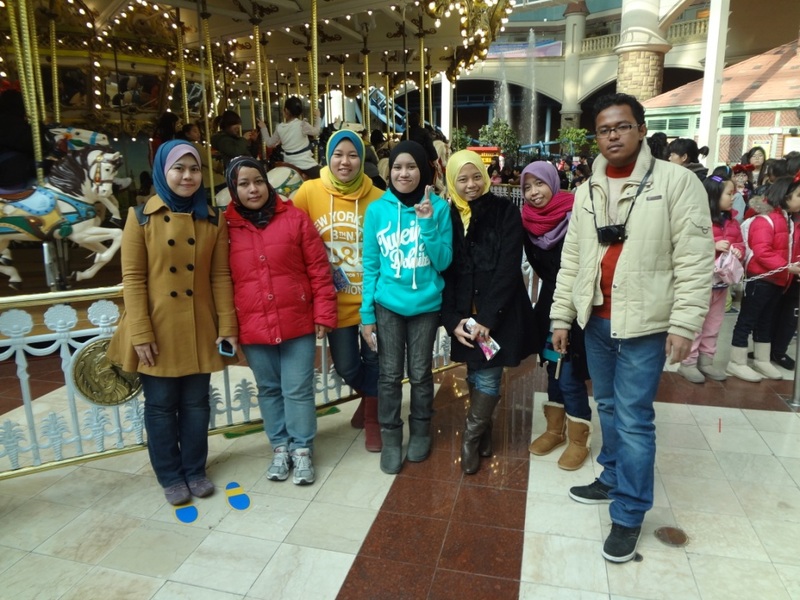 in front of the famous carousel. 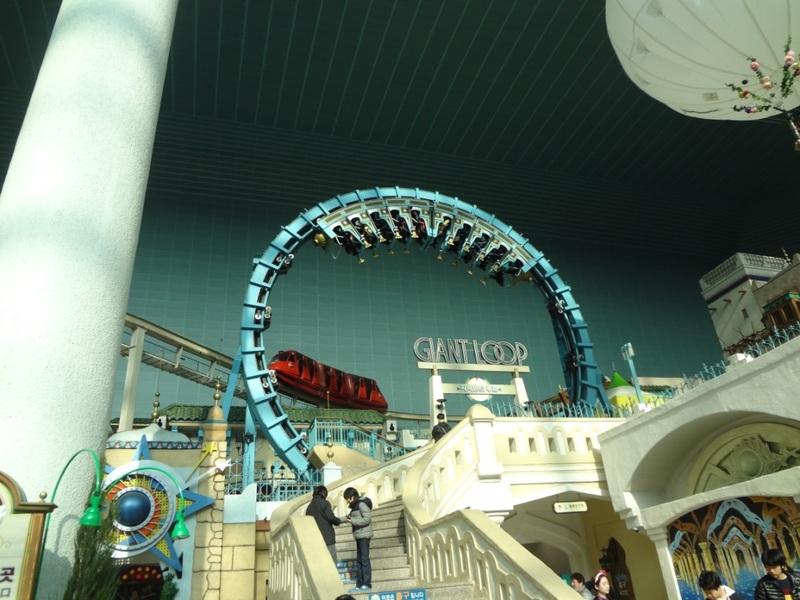 wanna ride this giant loop thing sfb. but the queue……… hzzz. 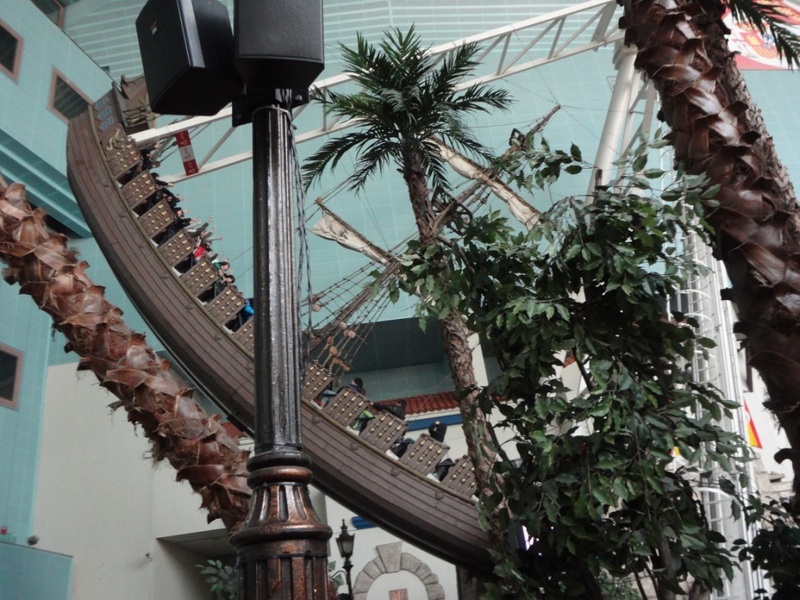 managed to ride this pirate ship cuz the queue was not that long. after we get bored with indoor games, we moved to outdoor games and whoaaaaaaaa, it was so freaking cold. 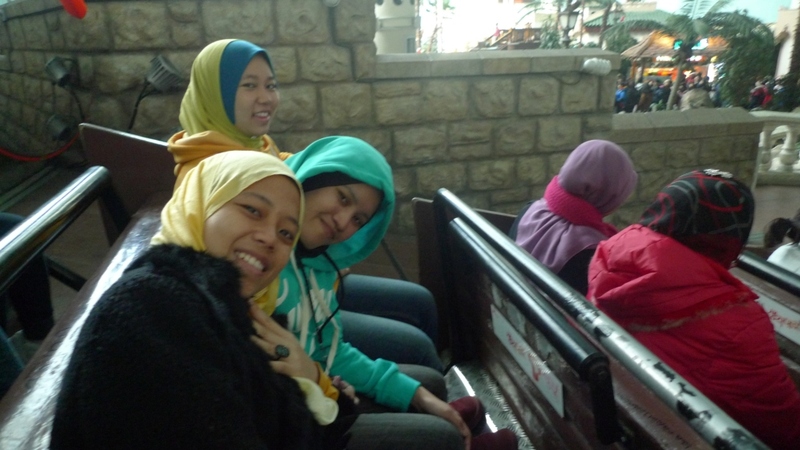 me & anne were like wearing our hoodies /ONLY/ bahahaha. i can stand it for like.. 10 minutes? and get back indoor to take my jacket lol. well i didn’t play any outdoor games cuz like i said, it was so freakin cold! how come u can still play those games when u’re shaking and shivering like crazy OTL. 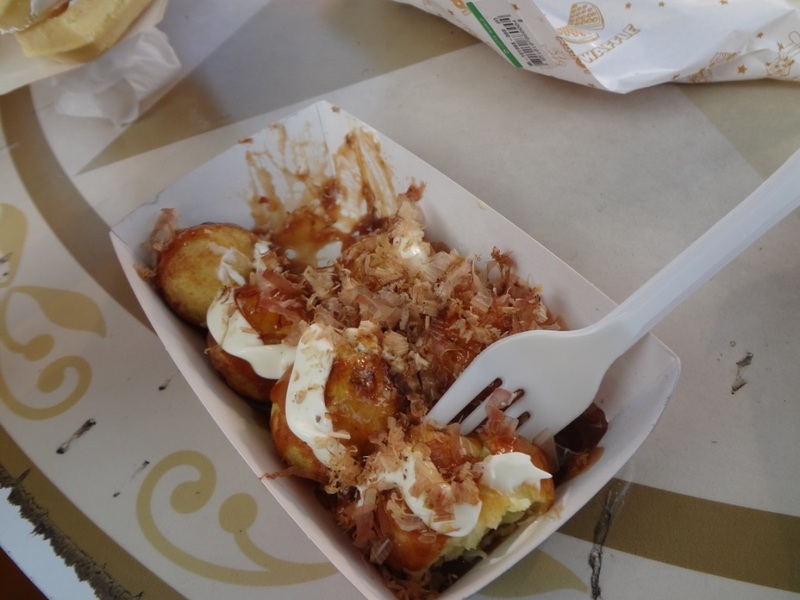 so me & anne just sat down and eat our 435267327278 tako tako #likeaboss kkk. while the others ride this some kind of solero shot game. first attempt. just wore a single layer of sweater. lol. mission phailed. went back inside to get my winter jacket. and muffler. lmao. 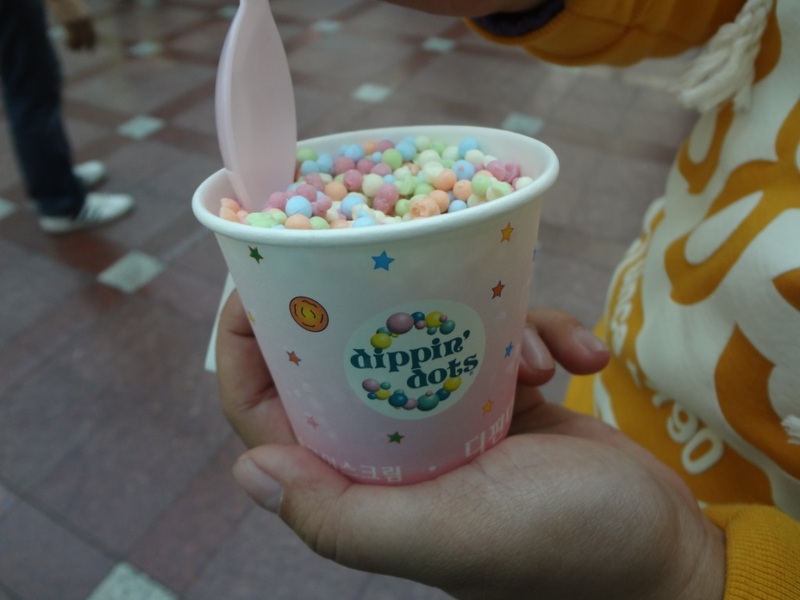 dippin dots! it’s like small particles of ice cream that melts in your mouth! sobs i miss chuuu. hawaii’s ice! 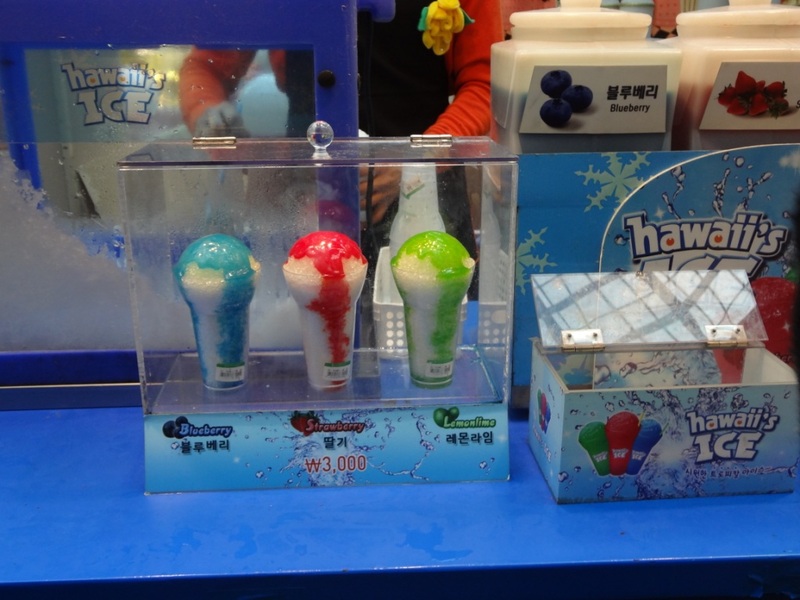 just like 7e’s slurpee. but waaaay nicer lol. we went back ard 5pm since there were still many ppl. besides we were bored already lol. 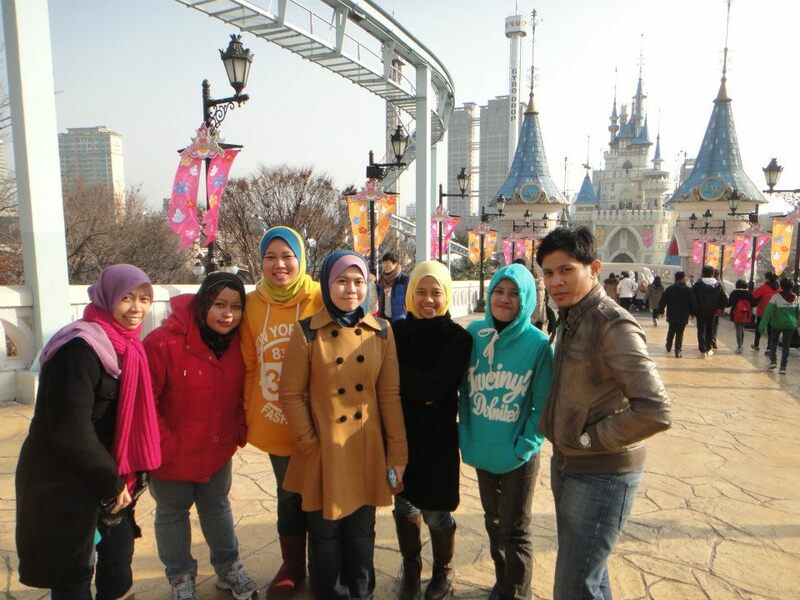 then we parted ways cuz the others wanted to go to itaewon. 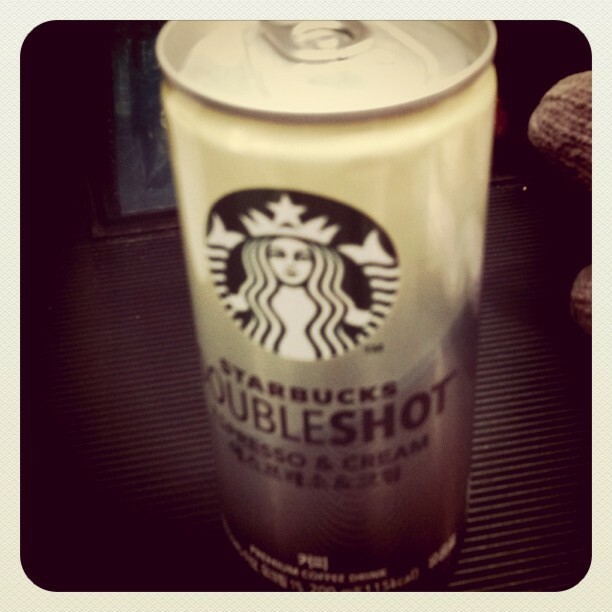 while me & anne wanna go to namdaemun. our next destination is namdaemun! namdaemun is like pasar malam or something lol. practically they have everything, from souvenirs to fruits to clothes to vegetables to everything. but it closes a bit early compared to dongdaemun/myeongdong. so it’s advised to go there before 7pm. when we reached there, the mall which got cheap brooch promotion was closed dy. sobs. so i didn’t buy any brooch for family back home since i couldn’t find any brooch stalls at the market. while lurking & roaming ard, i saw someone holding roti gardenia and eat it while walking LOL. and we were like ehh? and she was like ehh hai! lmao obviously u’re malaysian where else we could find roti gardenia in this world OTL. then i started to feel the pain on my right feet so we stopped by paris baguette /again/ lol so i can eat something before taking my meds. then we continue walking and i bought some stuffs, mostly souvenirs (not gonna reveal the price here lmao). that’s all for day 5? mansae! should continue with day 6 & 7 tomorrow and finally it’s a wrap! kkk. so this day 4 is totally about me & anne fulfilling our wish. if you hate kpop, don’t ever read this LOL. syuuuuuuuuuhhh!! so the day started when we woke up at 4.30am to catch the earliest train as we could lol. 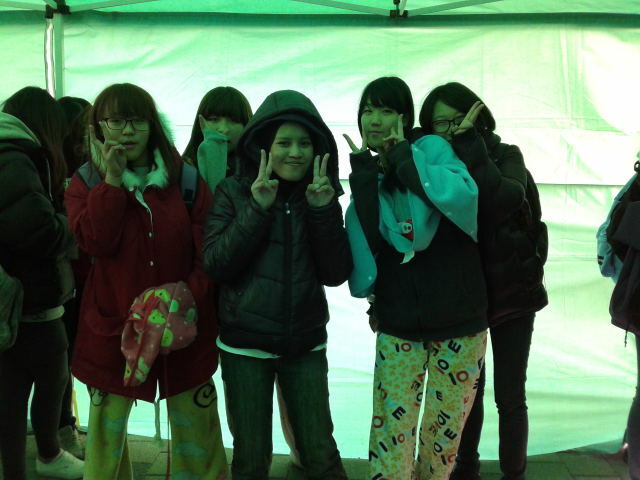 then we reached digital media city station around 6.30am and there were already some girls (looks like fangirls lol). ugh y u no go to school? ohh it’s school holidays haizz. and we took a cab to the mnet building (cj e&m building) where it is the place for all mnet’s live/recording shows. it was like tv3’s sri pentas at bandar utama (lmaooo stop comparing!! OTL). it was still dark and so freaking cold when we reached there omg. SO FREAKIN EFFIN COLD!!!!! MINUS 10 DEGREES for god’s sake. we were totally clueless. ofc we already got some tips from friends who have been there before, but still! 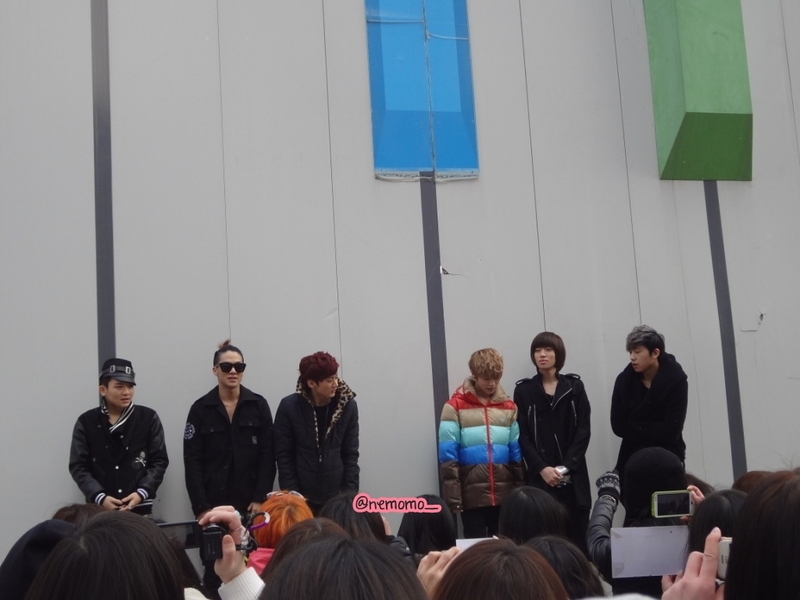 then we saw 2 diff groups of fangirls – angels (teen top’s) & a+ (mblaq’s). oh btw it was the day when mblaq made their comeback! there’ll be no chance to sneak into A+ crowd with those 45637263872 A+. so we went to angels crowd and gave our name to them. the steps to get into the nokka (pre-recording) or saebangsong (live) is quite easy. the challenge is.. how do u communicate with them regarding timing, requirement, where to queue, where to wait etc lol. unless if u’re good in hangugo or there’s some ppl who is quite good in english, then it should be no problem. then we met a nice ahjussi (?) too lol he’s like an apinkeu’s sajangnim or something kkk. he came for apink! he came in the morning to register his name and went back to sleep lol (he only came back when the live recording starts at 6pm). he was so interested to know about us, like are we still studying, where did we come from, we came here for what etc etc. and yeah ofc we converse in our limited hangugo & his limited english. kkk. ahh but still he was so naiseuu. 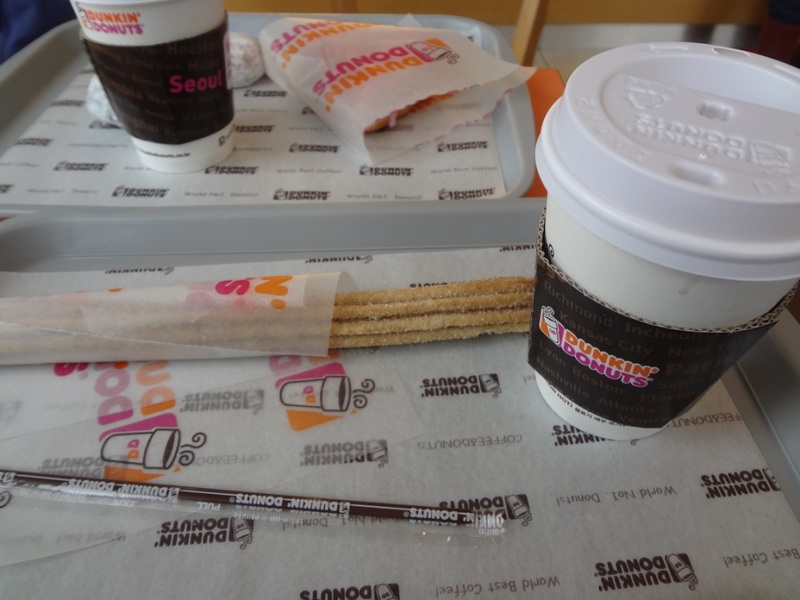 he even treated us coffee from 7eleven to warm up ourselves from this super effin cold weather. komawoyo keu won ssi! 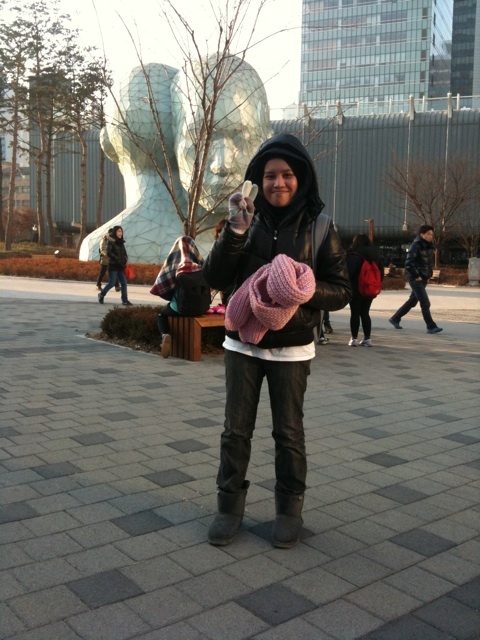 in front of the famous patung~ lol. this is the place where u should be to gather & give your name to get into nokka/saebangsong. at 10.30am, it was the time for nokka (pre-recording). teen top will be in pre-recording for ‘crazy’. and for this, they only let around 50 angels to go in. so from #1 – #50. haha there goes our chance to go into nokka~ yeah ofc we gonna wait again in this super freaking cold weather, to wait for the live show that will only start at freaking 6pm!!!!!!!!!!!!! my goodness. omg for the sake of seeing oppars live (erm no, anak hekan bole la kot lol), will do anything for u c.a.p !! (bias 1 hari lolol). 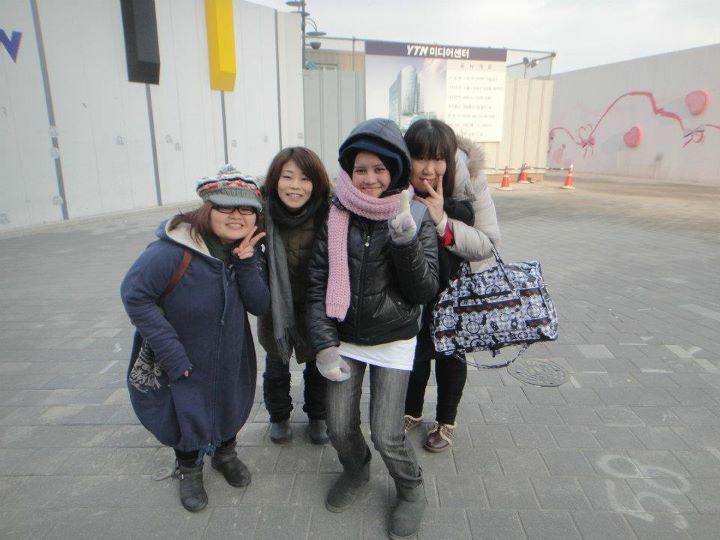 so while waiting, we met i-angels too.. ginny from hong kong & mai eonni & her friend from japan. the weird thing is.. we have to converse in hangugo lmao. idek how to explain it. we even took pic with k-angels too lol. it was..quite awkward at first haha. 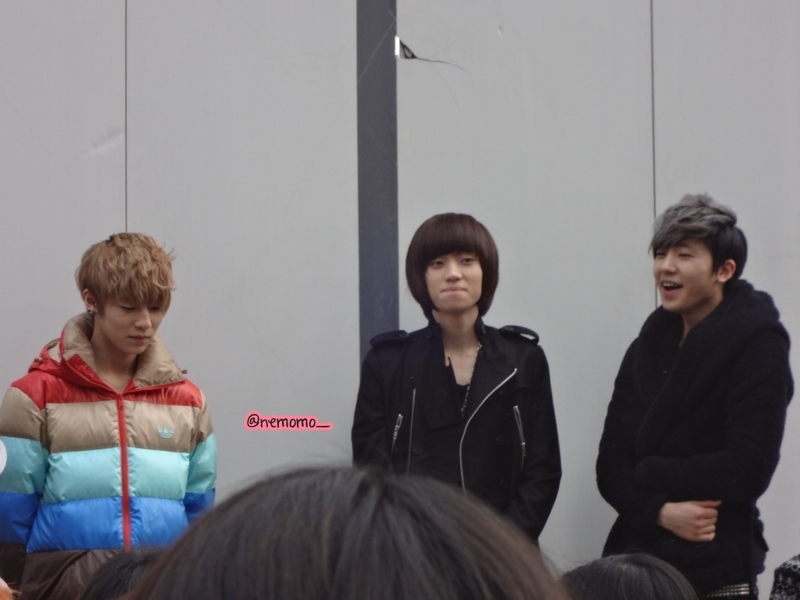 then around 2pm, the staff said that teen top will do a short fanmeeting outside this building. so we have to queue again to attend it. mansae!! \o/ but then, we have to queue for almost an hour while waiting sobs. it was super cold not gonna lie. i can faint anytime thank god i didn’t faint lol. 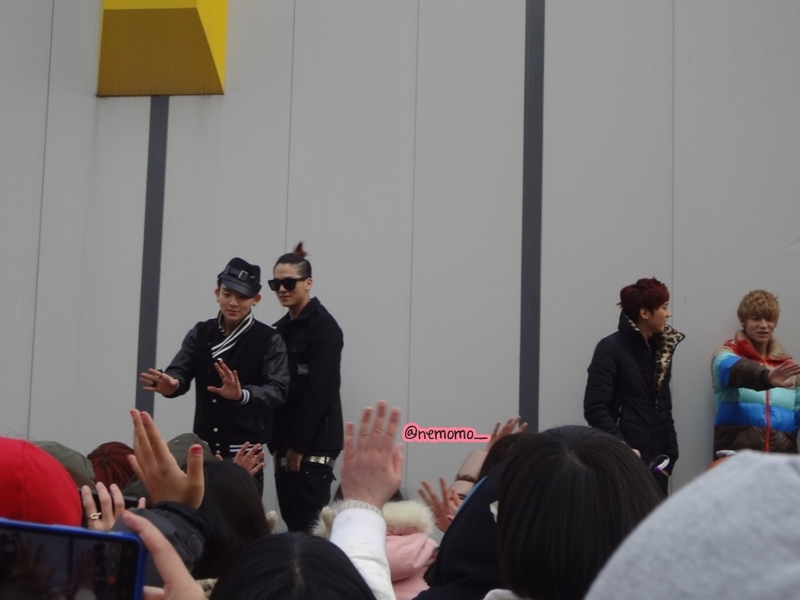 then they cameeeeeeee omg teen top it was super close. they said something bla3 (ofc i didn’t understand lol) for like 5-10 minutes. then bubyeeee. just that? haha but still, it was super close. and it was like all those waiting time in super freaking cold was totally worth it !! haha /exaggerates. 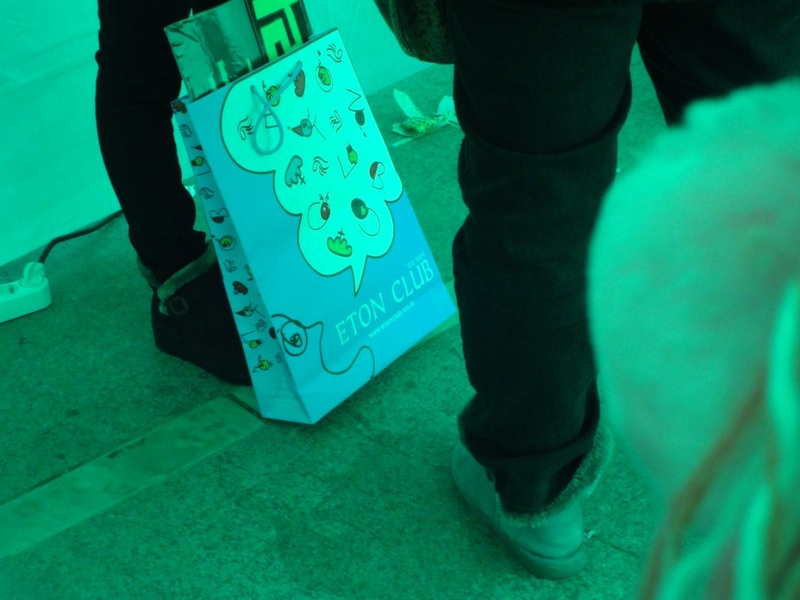 omg kakton got club in seoul meh? lmao cries. at 5pm they asked us to queue again. while queuing, there were 3 ppl (they’re pd-nims!) approached us (cuz we’re foreign fans that look different? lmao) and asked whether they could do some interview with us after the saebangsong finished. i don’t feel like going for it cuz it might be long and definitely i’ll be tired. but anne looks like wanna give it a shot so it’s ok then. finally at 6, we got into the studio! LIKE OMG i’m watching this show on youtube almost every week but now i’m here? asdfghjklasdfghjklasdfghjkl!! i don’t really remember the order of the performance, but there were electroboyz – ma boy, nine muses – news, monday kiz – shadow, teen top – crazy, ns yoon g – the reason i became a witch, as one – lie, lee hyun – because it’s you, koyote – say that again, f1rst – ma ma my, dynamic duo – without u, apink – my my, t-ara – lovey dovey, kim jin yeop – love without goodbye. 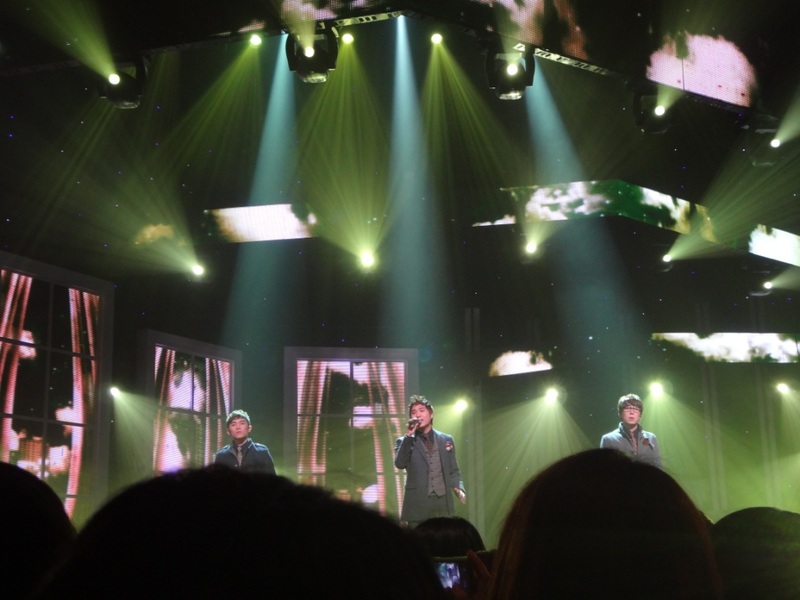 and the final perf was mblaq’s comeback stage!! they sang 낙서 (scribble) a ballad song, and it’s war, their promoted song. omg i was looking at g.o without blinking my eyes lol it was like………… my first time seeing mblaq appas!! like finally. sobs. go to this channel to watch the other performances lol. 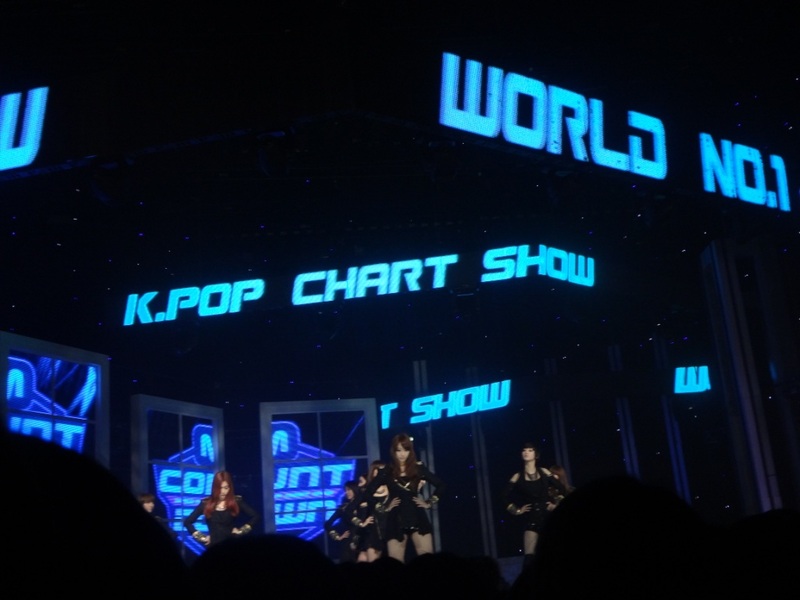 and t-ara won mnet chart that day. 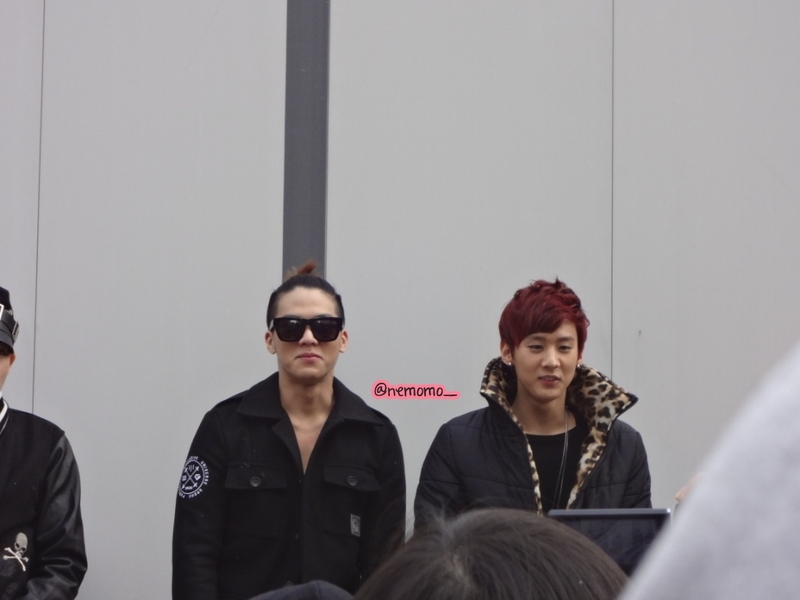 then we went out from the studio and all those pd-nims already waited for us at the 1st floor lol. 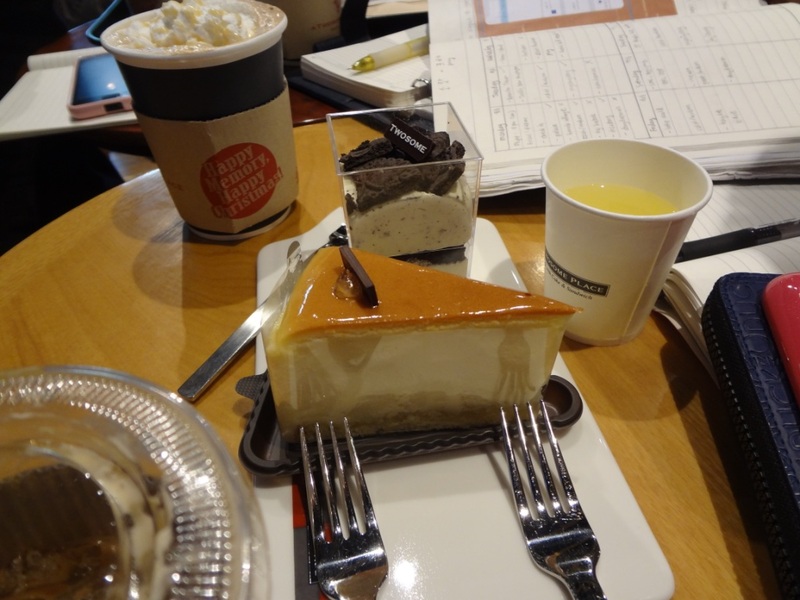 and they dragged us to a twosome place coffee shop and treated us coffees & cakes! so naiseu. i was quite hungry at that moment tbh lmao. and the interview session started. well i can’t reveal much details about it here (LOL) but what can i say is most of their questions were about hallyu wave in malaysia, our thoughts about it, which artist has largest fandoms, fanclubs, activities, etc etc. anne answered most of the questions cuz i was so out of energy even to open my mouth lol. when we introduced ourselves, anne said she’s a shawol and i’m a hottest. 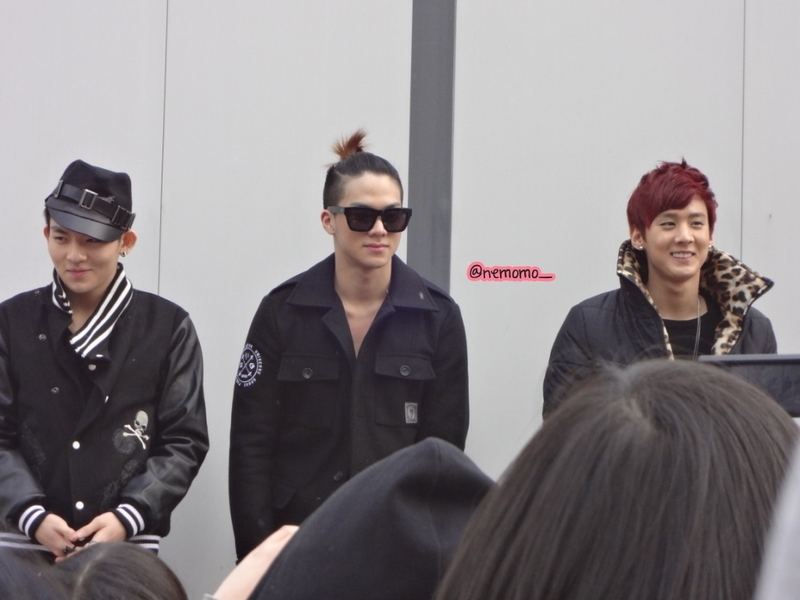 then one of the pd-nims was “ahh i like nichkhun!” and we were like asfghjsdfagjsdfghj and spazzing together lmao. then i asked where i could find the nearest mr pizza restaurant here (coz i already googled about it previously and there was a branch at the next building) but idk which building is it. then we started singing mr pizza’s song like “mr pija lobsetar! mr pija neun.. seng seng seng!” together and goes asdfghjkasdfghjk lmao cries. spazzing abt oppars with a pd-nim lol it was quite awkward. then we went back home. i felt like going to find that mr pizza place but i was so tired so we just postponed it to the other day. then anne said she wanna go to dongdaemun and i was like ok jalja~ but then suddenly i felt so energetic lmao. my steroids just shows its effects lmao so i followed her to dongdaemun. 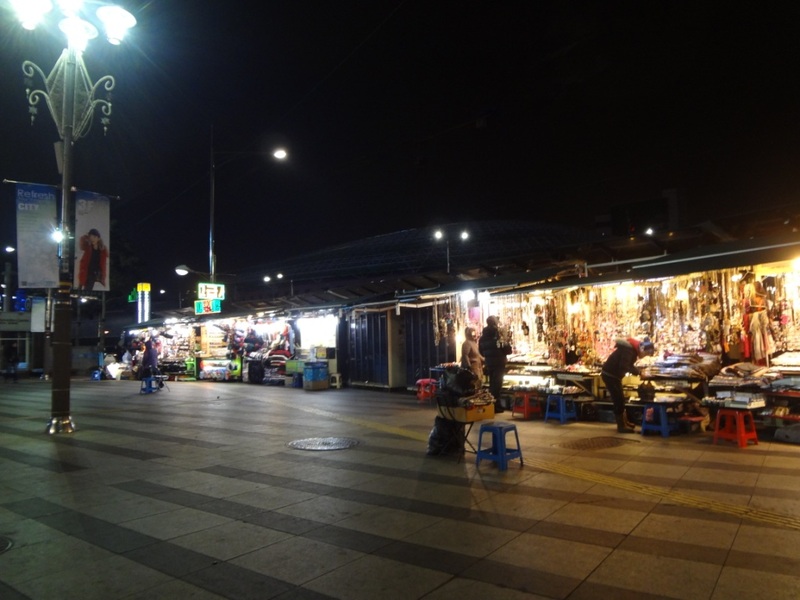 well dongdaemun is just like the other markets like myeongdong/namdaemun. the diff is dongdaemun is like the place where u shop for clothes and stuffs. if u’ve watched cinderella man u must have known about this place already. 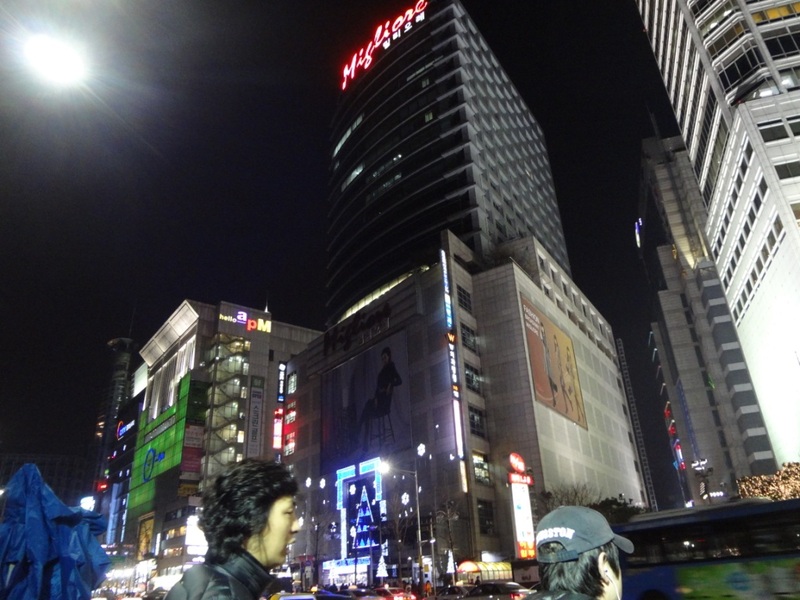 they have like 4 main shopping malls there – doota, migliore, hellow apm & goodmorning city. my fav is hellow apm coz it’s quite cheap there lol. u can imagine those buildings are like sungei wang plaza, where they have 435672864378873 small shops and it’ll be confusing cuz they are just look alike. 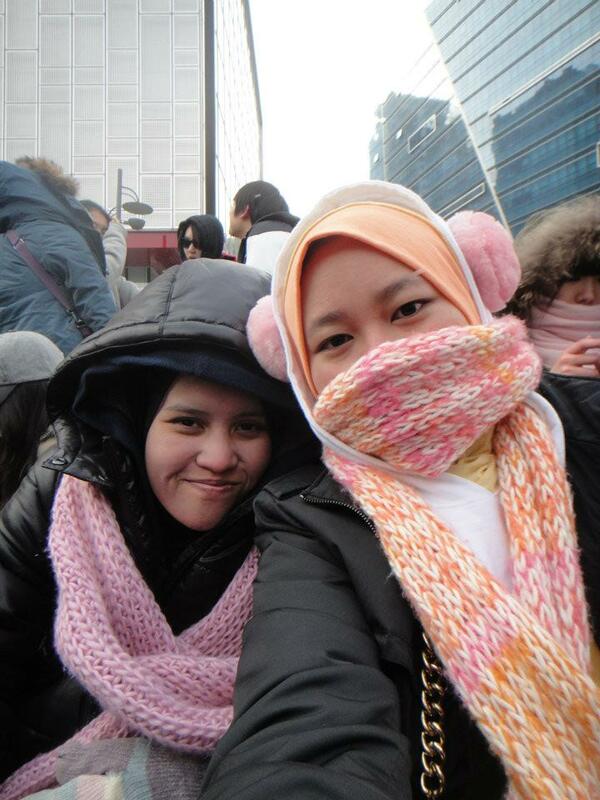 i bought 2 hoodies for 9000 won each, an earmuff for 5000 won, a glove for 8000 won & 2PM socks x 6 for 24000 won. oh and a red bagpack for 30000 won (so expensive! blergh). and we also had omokochi or some ppl call it odeng, like street fishcake for 1000 won and veggie kimbap for 5000 won at an ahjumma stall in front of goodmorning city. sobs i feel like eating odeng now! and finally we went home after that. ahhh this day 4 is so tiring~ (even to write an entry about it!). tbh, the experience is totally worth it. definitely it won’t be my last & final time to be into music shows. i’ll fly to seoul again later when my 2PM oppars make their comeback bahahaha (u wish! ).